1. Rabies is a zoonotic disease (animal borne); you may get rabies when you are bitten/licked by infected animals. 2. It is a fatal disease with no effective treatment available. Once a patient develops symptoms; he/she will eventually die. So it is an untreatable disease. 3. In Thailand and Southeast Asia, dogs and cats are the most important vector for rabies. Unfortunately, there are many stray dogs in many parts of Southeast Asia. 4. Not all stray dogs are rabid. 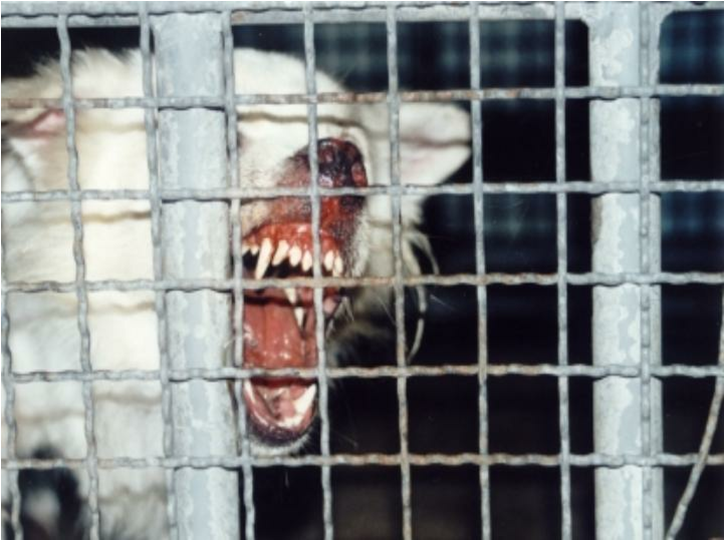 According to the survey in 2004, only 0.03% of stray dogs in Bangkok carry rabies virus. In general, rabid animals will have some bizzare behaviours (may looked crazy or dump). Unfortunately even normal-looking animal may carry rabies virus also. 5. Whenever you are bitten or licked, please clean the wound with soap and water as much as possible. Good cleansing clearly reduce the chance to get infection. After that, you should seek for medical care immediately. The doctor will give a post-exposure vaccination/treatment. 6. If someone never get any vaccination against rabies and are bitten. He/She must have the post-exposure treatment immediately. The treatment include Immunoglobulin and a series of rabies vaccine (5 shots). But if someone have already complete pre-exposure vaccine (3 shots). He/She will require only 2 doses of vaccine (Day 0 and Day 3). Immunoglobulin is not necessary. 7. The major factor that we have to consider is the availability of medical care in the destination. Let’s imagine, if you never get pre-exposure vaccine, and you are bitten. You have to find the medical service that equipped with vaccine and immunoglobulin. Unfortunately, immunoglobulin is available in the major cities in Southeast Asia only. So in some cases, they may have to interrupt their trip and fly to Bangkok to get the treatment. 8. The advantages of getting rabies vaccine before travel included you will have some protection which could give you some peace of mind, and you are not required to get immunoglobulin when you are bitten. However, you still need to get 2 shot of rabies vaccine. Hi, my toddler was just bitten by our cat. The bite punctured skin on his finger. We live in Chiang Mai. He was irritating the cat and that is why it bit him. We live near a farm and have a klong running behind our house. Should I be worried about the bite? The main question is; can you really sure that your cat is not infected with rabies virus. If your cat has no rabies virus, so its bite will not pose any rabies risk. Generally speaking, if your cat is vaccinated annually without missing any doses and you’re sure that your cat is not exposed to another mammals, it is unlikely that your cat will have rabies virus. You may notice that we do not consider the behaviour of your cat since it is not a reliable way to predict whether it carries rabies or not. Anyway, as we always say, you need to go to see a doctor for professional evaluation. We cannot and will not give specific medical advice on any individual case. Today a stray cat jumped up on my knees and scratched my neck with its teeth. Should I see a doctor? Absolutely. You should go to see a doctor. It is recommended to see a doctor if being scratched is possible. Thank you for the response. One other question is if a dog were to lick my leg where there was a mosquito bite, is a mosquito bite an “open wound” and this would require medical attention? Live in Bangkok, and in January i was bitten by a dog and get vaccin against rabies. 5 weeks ago happened this again by a rat, and got just one shoot booster, and today happened also by a dog (not very seriously). Should go to see doctor or that booster from 4 weeks ago its enough solution? That time doctor mentioned that should get booster just if past 6 month from the last one. I’m sorry, we cannot answer or give advice for specific case/situation on this blog. You should seek for medical attention. Formal visit to a doctor is required. I got bitten by a cat in phuket 2 days ago. Its tooth only grazed my skin but it was enough to break my skin. Last night i developed an ache in that arm and diarrhoea and vomiting. Should i get treated? Absolutely, you should come to see a doctor. Hi. Currently staying at Surin Beach where I came into contact with cat saliva (don’t ask!) all over my hand. I washed it off immediately with soap and water a few times, the cat doesn’t seem sick (she’s a regular at the resort). I can’t see any obvious open cuts etc. on my hand, do I need a rabies shot? Thanks. If so, any suggestions where I can go that is nearby? Contact with saliva on intact skin is WHO’s category I exposure, post exposure prophylaxis is not necessary. However, if cat saliva contact on broken skin is WHO’s category III, which needs rabies vaccine and immunoglobulin. We’re sorry, we cannot give specific recommendation on individual case. We cannot decide whether your skin is intact or broken? Or you need rabies shot or not. If in doubt, please go to see a doctor. She needs to see a doctor as soon as possible. Currently in Koh Pi Pi, Thailand. I was extradorinarly inebriated last night and a traveling companion of mine was bit by a small dog (not a stray dog). The bite was very small and in my unfortunate state, I tried to console her by sucking the wound like a snake bite. The wound was thoroughly washed prior to the sucking of said wound. Should I get the rabies vaccination? A guesthouse cat bit me today when I accidently trod on it. I received a small puncture mark to my foot that drew blood. The owner showed me vaccination certificates for the cat. Should I trust that or go to the hospital? It was in Chiang Mai, Thailand. You should go to see a doctor. A mouse bite me in my tumb. I already have first injection. Have you ever heard of getting rabies from a mouse? It happend on samui. Mouse/Rodent is a mammal. So it could transmit rabies. Please go to see a doctor. Yesterday I was at a place that has many friendly stray cats in SanKampaeng, Chaing Mai. One playfully nipped my leg to beg for more attention. It just barely broke the skin and I immediately Cleaned it with rubbing alcohol. The spot is already gone, but should i be worried at all? The cats at the gym are all super sweet and there has never been any mention of rabies here. You should go to see a doctor to evaluate and get the treatment. Normally, regarding with with rabies, we preferred to err on the side of caution. Absolutely, you should visit the hospital for evaluation and treatment. You should go to see a doctor to evaluate that incident whether it poses risk for rabies or not. If yes, you should get the booster doses. Rabies is serious disease. You should complete all treatment. If the cost is an issue, please visit the nearest public hospital, they will always cheaper than the private one. I was bitten by a dog on koh Chang. I cleaned with water, alcohol then provadine. I went and had the first two injections at the hospital of the immonuglobin booster, due to unavailability I missed the third but am not to late for the fourth. Is it to late for the forth( or a waste of time) or both. I had no vaccination before this all happened. You should visit the hospital to complete the course of post-exposure treatment. We should strict to the standard series as much as possible. Anyway, late is much better than skip or cancel it. I was recently bitten by a dog and went to the hospital. Thy started me in the 5 injection vaccine, but I’m sure that i didn’t get the immonuglobin booster. Is it necessary? I begin an extended trip to SE Asia and India very soon and have only now decided to get the pre-exposure rabies vaccine after being advised to do so by a travel doctor. Due to the last minute decision I will need to get the course on the road; I will have the first shot at home in the UK, the second in Bali and was hoping to get the third in Bangkok. Does this seem ok? I have read that for the course to be effective, the 3 shots need to be the same type of vaccine; I am unsure what will be given here (but will find out before travelling) and know that we will be receiving Verorab in Bali. Also, how strict are the vaccine schedule timings for example, the schedule is 0, 7 and 28 but what if we were to have shots at 0, 7 and 26 – would the vaccine be effective still or would you advise to wait until 28th day? 1 All modern cell-cuture rabies vaccine can be use interchangable. In our clinic, we use verorab and rabipur. If we know which rabies vaccine that you get in the previous shot, we would give the same. 2.Rabies vaccine pre-exposure schedule, you could get on Day 0, 7, and 21. In fact, 21 days is the earliest day that you can get. So you can get it on day 26 without any problem. However, you still need to get two more boosters once you’re bitten or licked. Is there somewhere in phuket to get the pre exposure vaccination. WE are on a yacht with four kids and have been unable to get it any where in Malaysia. Rabies is a common vaccine in Thailand. 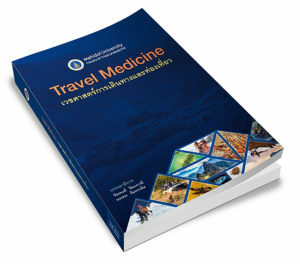 It is also widely available in most hospitals/clinics in Phuket. Hi, do you guys give rabies injections? do need appointment or can walk-in? Rabies vaccine is available in our clinic. You could walk-in, however for your convenience, making an appointment is recommended via this link. Do you know if they have Rabies vaccinations in Koh Samui? I will be there for a month after I land in Bangkok. I can get the first with you but will need to finish the course code to Koh Phanghan or Koh Samui. No problem. Rabies vaccine is widely available in Koh Samui. Is the vaccine for rabies the same worldwide? Can I take the first shot in Europe, the second in Bangkok and the third in Changmai? All place that you mentioned use the modern (cell-cultured) vaccines. Although there are several brand name/manufacture, they can be used interchangable. How long does a course of pre vaccination take? In England you have to take three shots over the course of a month, it this the same in Thailand? Yes, it is the same here. You need to get three shots on Day1, Day7, and Day 21/28 to complete the pre-exposure course. Could each stage of the course be taken at different clinics? For instance first two taken in Bangkok and the course completed in Changmai? Yes, you can complete the course in Chiangmai. Rabies vaccine is widely available there. Just back from Ayutthaya,. Was bitten by stray temple dog at Wat Phuttai Sawan. Very glad had previous rabies jab so only two booster shots needed. Sorry to hear that you’ve been bitten. Anyway, thanks a lot for sharing your experience. Good day very cool blog!! Guy .. Excellent .. Amazing .. I’ll bookmark your site and take the feeds also?I am satisfied to find so many useful information right here within the post, we’d like develop more strategies on this regard, thanks for sharing. . . . . .
You made some fine points there. I did a search on the subject matter and found the majority of people will have the same opinion with your blog.